A recent visit to Tokyo marked the 25th anniversary of my first Japan Cup experience in 1993, when Japanese-bred Legacy World claimed the top prize by defeating Kotashaan, a five-time Grade 1 winner in the U.S. who would be voted that year's North American Horse of the Year. Legacy World became only the fourth Japanese-trained horse to win the mile and a half race in its first 13 runnings. Until then, the Japan Cup had been dominated by international runners: four U.S.-trained horses had won, in 1981, '82, '88 and '91; and there was one each from Australia, France, Great Britain, Ireland and New Zealand. In the subsequent 25 renewals, including this year's Japan Cup won by the Japanese-bred 3-year-old star filly Almond Eye, only four international horses have won: two from Great Britain and one each from Germany and Italy. The United States has been shut out since the Charlie Whittingham-trained Golden Pheasant won in 1991 and the last international winner, from Great Britain, was Luca Cumani-trained Alkaased in 2005. Japanese breeders, led by the Shadai Farm of Teruya Yoshida and Northern Farm of his brother, Katsumi Yoshida, have substantially improved the quality of their bloodstock over the last 30 years. It began under the vision of their late father, Zenya Yoshida, whose game-changing import of 1989 North American Horse of the Year Sunday Silence was complemented by the purchase of many of the world's best broodmares and broodmare prospects. Zenya Yoshida had previously purchased Northern Taste, an E.P. Taylor-bred son of Northern Dancer who would become a Group 1 winner in France in the mid-1970s and perennial leading sire in Japan until the arrival of Sunday Silence. Northern Taste mares served as a perfect cross for Sunday Silence, whose male line traced back to Royal Charger through Halo, Hail to Reason and Turn-to. Sunday Silence's descendants now dominate Japanese bloodlines. What's helped fuel the improvements to the Japanese Thoroughbred, in my view, are two key factors: favorable economics for owners (and, subsequently, breeders) and the lifting of protectionist policies by the Japan Racing Association that for years had restricted the import of foreign-bred horses for racing. Simply put, as more races became open to U.S. and European-bred runners, Japanese breeders understood the need to produce horses that could compete with the best in the world. They have done that in spades, to the point that foreign-based horses are at an extreme disadvantage taking on Japanese-breds in major races (the U.S. hasn't even started a horse in the Japan Cup since 2011). And in maiden, allowance and minor stakes races, U.S. and European-breds are increasingly rare. 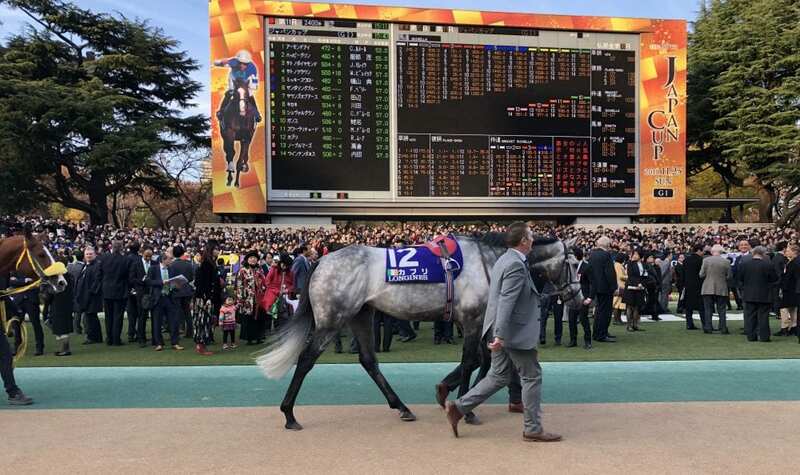 On the day of the 2018 Japan Cup, for example, only six of the 154 horses entered to race at Tokyo Racecourse were bred outside of Japan, including the two international runners in the Japan Cup – U.S.-bred/England-based Thundering Blue (who finished 10th) and Irish-bred and trained Capri (11th). In 2017, 57 percent of all races run at Japan Racing Association tracks were open to foreign-bred horses, yet less than three percent of runners were bred outside of Japan. Ten years earlier the percentage of foreign-bred runners exceeded six percent. Similarly, the number of imported stallions standing in Japan has declined significantly. In the early 1990s, nearly 250 stallions of the about 600 horses at stud were imported, roughly 40 percent. In 2017, that number was down to 68 of 248 stallions, or 27 percent. As the quality of their stock has improved, there is reduced need to import stallions or racing prospects. The economics that fuel the Japanese breeding industry are built on the foundation of a structure that, through government mandate, makes the Japan Racing Association a powerful authority that regulates and controls all facets of racing, from licensing to wagering to facilities to scheduling and marketing. Aside from a smaller collection of locally run racetracks operating under the auspices of the National Association of Racing, the JRA has no competition. It owns and operates Japan's 10 major racetracks, training centers and a string of off-track betting facilities. It owns the tote company at racetracks and the online betting service. There is minor competition for gambling dollars in Japan (for example, there is pari-mutuel wagering on speed-boat and bicycle racing), but so far no casinos have been permitted. Twenty-five years ago, when I made my first bet on a JRA horse race, the wagering menu was limited: win, place (meaning a top three finish), quinella and bracket quinella (because field sizes often include 16 horses, horses are paired in brackets: i.e., Nos. 1 and 2 are bracket 1, Nos. 3 and 4 bracket 2, etc.). The volume of wagering then and now is mind boggling. In 2017, more than 2.7 trillion yen was wagered on 288 days of racing (race days are conducted only on weekends and holidays and at no more than three tracks at a time). Converted to dollars (and for the purposes of keeping this simple, I'll convert 100 yen to one dollar), the average wagered on each day of racing is $96 million. Big days, of course, are much higher. Helping drive those startling wagering totals is a field size that would turn every American racing executive green with envy: in 2017, the average field size for the 3,455 races run was 14.1 horses. With takeout of 25 percent, a portion of which goes to the Japanese government for taxes, the JRA has been able to invest in modern facilities, extensive marketing and the highest prize money structure in the world for owners: the average purse per race is approximately $326,816. That average purse is triple the average paid by Japanese owners in 2017 for a yearling at public auction. By contrast, the economics of Thoroughbred ownership in the United States are upside down, with the average purse in 2017 ($29,000) less than half the average yearling price ($69,000). Yet there have been choppy waters over the course of the JRA's administration of racing. The JRA enjoyed a tremendous run of success in the 1980s and into the mid-1990s, with wagering increasing by 179 percent. It topped four trillion yen in 1997. In today's dollars, that's more than $35 billion. Keep in mind, that was for just 3,440 races. By comparison, in the U.S. in 2017, $10.9 billion was wagered on 37,500 races. From those dizzying heights in 1997, the JRA then went through a 14-year decline, with year-to-year wagering dropping annually until bottoming out at 2.29 trillion yen in 2011. JRA officials responded by offering new wagers; a quinella place bet rewarding the top three finishers was added in 1999, exacta wagering in 2002, trio wagering (a trifecta box) in 2002, trifecta in 2004 and Pick 5 in 2011. 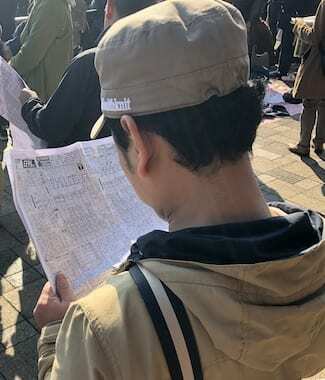 Japanese fans and horseplayers have embraced the new wagers. The most popular bet today is the trifecta, which in 2017 accounted for 32 percent of all wagering turnover, followed by the trio, at 20 percent. Win wagering makes up just 6 percent of all bets made. During this long slide, when wagering dropped by 42 percent and returned to 1988 levels, the JRA was forced to tighten its belt. Prize money declined (though remains at the highest level in the world), and international competition became more fierce, with the Dubai World Cup meeting, Hong Kong International Races, Melbourne Cup, Prix de l'Arc de Triomphe and Breeders' Cup all trying to lure the world's best Thoroughbreds. There was quiet talk of privatizing the JRA, which is a branch of the national government's department of agriculture, forestry and fisheries. Under the leadership of JRA President Masayuki Goto (who some may remember as the head of the JRA's New York office in the 1990s), the financial ship has been righted, and handle has grown for each of the last six years. Wagering totaled 2.76 trillion yen in 2017. Twenty-five years ago, when I first took notice of Japanese racing and breeding, I became fascinated by the JRA's national marketing, which generally involved two-year campaigns featuring well-known actors. The ads appeared on national television throughout Japan and in billboards at busy subway and train stations and in print media. The first campaign I recall from the 1990s featured the popular actor Ken Takakura (known as the Clint Eastwood of Japan). Takakura portrayed a Japanese Thoroughbred breeder teaching his daughter about the importance of the horse to their culture, and the hard work that went into raising a Thoroughbred champion. It was beautifully filmed and evoked a strong sentiment about the dignity of the sport and agriculture business on which it is based. Subsequent campaigns showcased Thoroughbred racing as an international sport and the JRA's facilities as a safe and clean place for young women to attend. The current ad campaign takes a different twist, although the JRA has to tiptoe around federal laws that prohibit the promotion of gambling on television. Internet advertising, where more money is now being spent to catch the eyeballs of younger Japanese, is permitted to promote betting on horses. This theme of teaching newcomers extends beyond advertising. At each of its tracks, the JRA has built classrooms for the specific purposes of teaching beginners how to handicap, from reading the program and newspaper past performances to filling out betting slips and developing betting strategies. 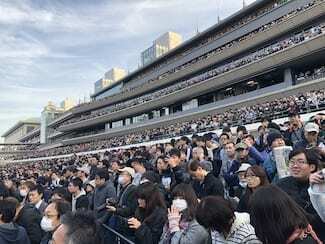 On Japan Cup day at Tokyo Racecourse, classes were scheduled throughout the day, and the classrooms appeared full of eager racing fans. Another advertisement, one that was created for Internet only, features the actress Mitsuki Takahata on a visit to Nakayama racecourse for the Japanese 2,000 Guineas, where she presented the winning trophy. The ad follows her as she goes through the process of studying the field, using the racing newspapers, filling out her betting slip, making the actual bet and viewing the race. The focus is on getting the public – especially impressionable young people – to view racing and wagering as a healthy, popular and fun sport. That, along with clean and modern facilities and a business structure that puts all of the authority under one organization – one that carefully develops long-range strategic plans – ensures that Japanese racing and breeding will continue to be a force on the world stage for many years to come. This entry was posted in NL Article, Ray's Paddock and tagged almond eye, JAIRS, Japan Association for International Racing and Stud Book, japan cup, japan racing association, Japanese breeding, japanese horse racing, jra, katsumi yoshida, Ken Takakura, Mitsuki Takahata, sunday silence, Tao Tsuchiya, teruya yoshida, zenya yoshida by Ray Paulick. Bookmark the permalink.